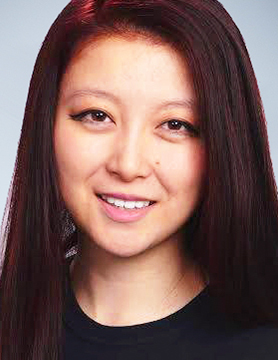 Christina Qi serves as Co-Founder and Partner at Domeyard LP, a hedge fund known for its focus on high frequency trading. Domeyard closed its Series C in 2017 and trades up to $1billion USD per day. Her company’s story has been featured on the front page of Forbes, Nikkei and other publications. Christina brings experience in investment management, sales and trading, derivatives operations and technology across Goldman Sachs, UBS Securities, Zions Bank and MIT Lincoln Labs. She is a visiting lecturer at MIT, within Nobel Laureate Robert Merton’s “Retirement Finance” class since 2014 and is a case study protagonist at Harvard Business School. Christina sits on the Board of Directors of The Financial Executives Alliance (FEA) Hedge Fund Group, the MIT Sloan Boston Alumni Association (MIT SBAA), Invest in Girls, the U.S. Non-Profit Boards Committee of 100 Women in Finance, and the Scholarship Committee of the Chartered Alternative Investment Analyst (CAIA) Association. Christina and her Co-Founders have been named to the Forbes 30 Under 30 and Boston Business Journal 40 Under 40 lists, and is the Women’s Wealth Forum 2018 Founder of the Year. She holds an S.B. in Management Science from MIT and is a CAIA Charterholder.